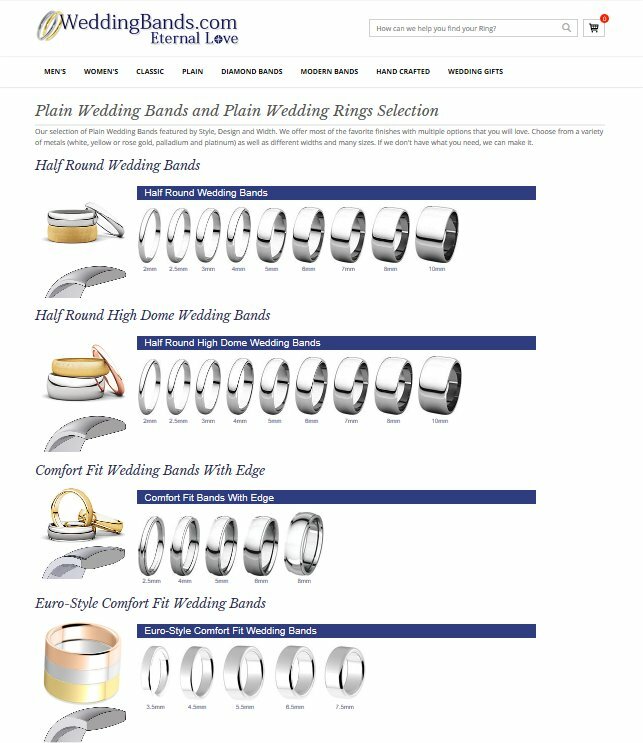 WedingBands.com launched one-page shopping for popular wedding bands to make the selection and shopping simple, quick, and easy. Internet users, with the busy schedule they have these days, they do not have the time to search for hours for the wedding band and diamond ring they want online or in the stores. One page gives access to all popular classic wedding bands, women diamond rings, available metals, and styles. 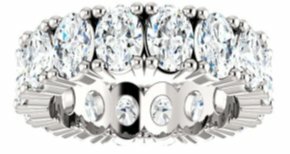 One-page selection of classic wedding bands and women diamond bands offer all the tried and true favorites wedding bands and eternity bands with multiple options, metals, width and finishes. User can choose from a variety of metals as well as different widths and many sizes. If the desired configuration is not readily available, it can be customized. The plain wedding bands can be engraved, and most can be personalized with special finishes and patterns. The diamond rings can be customized to the desired size, metal, and diamond total weight. Plain Wedding Bands SelectionSelection of plain men's and women's wedding bands.